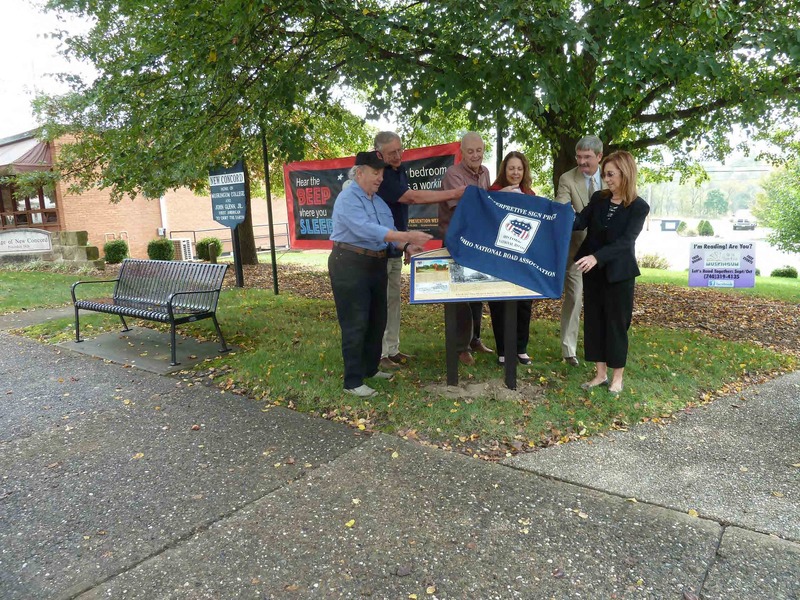 These two signs were dedicated on October 9, 2015 with a lively crowd. 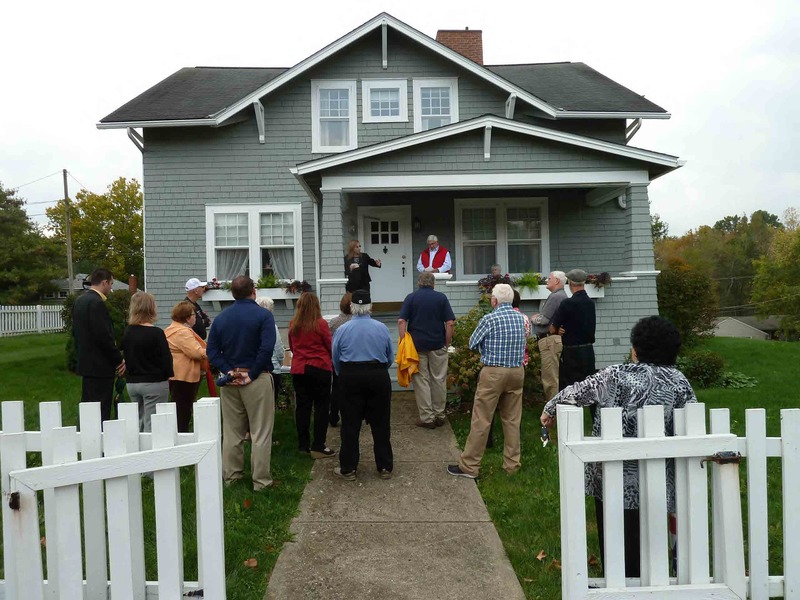 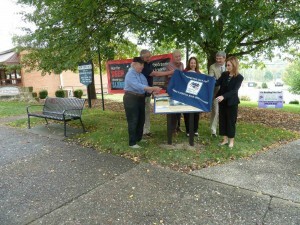 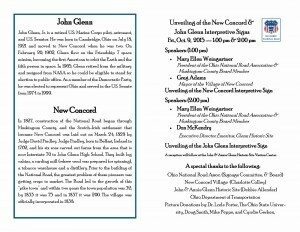 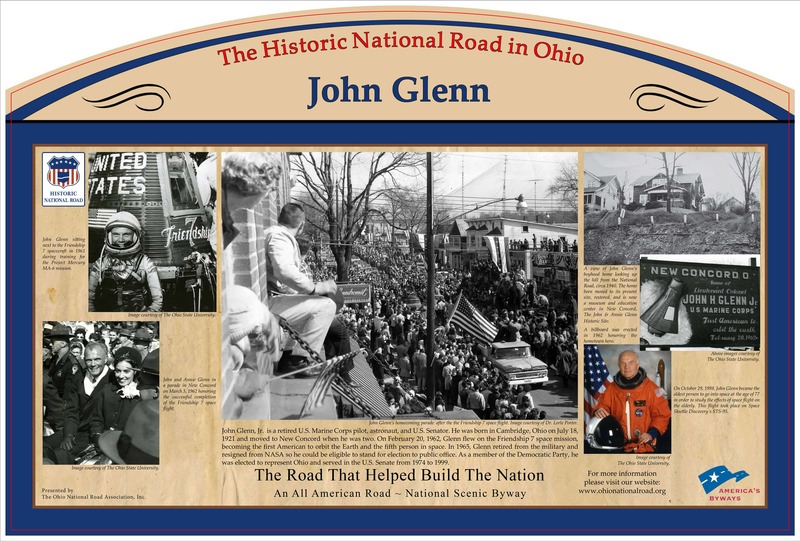 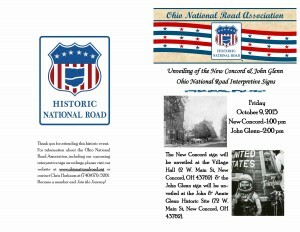 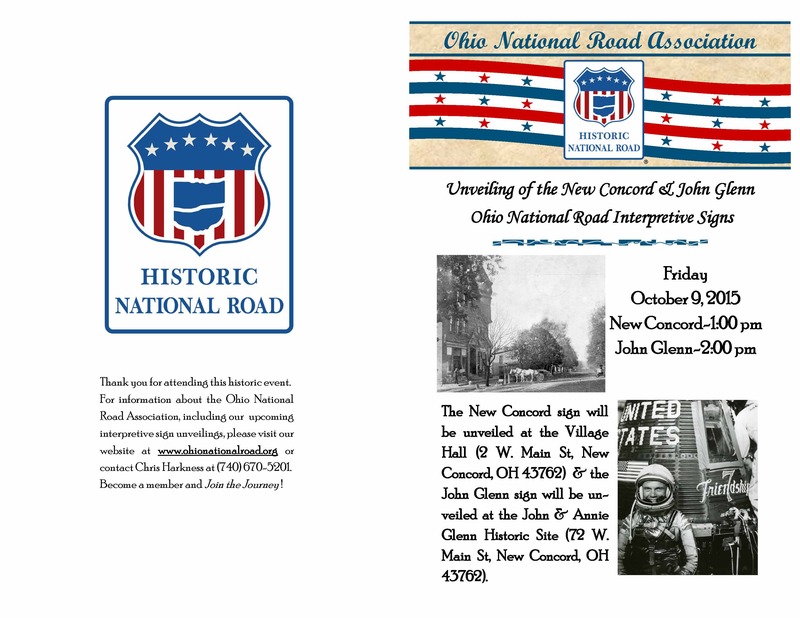 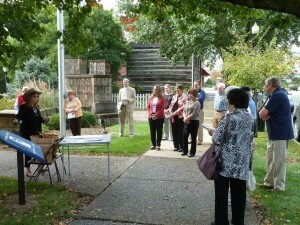 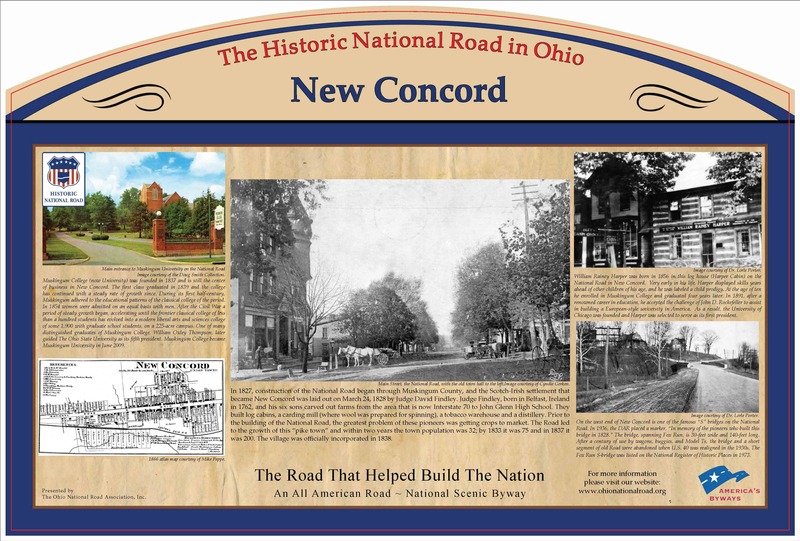 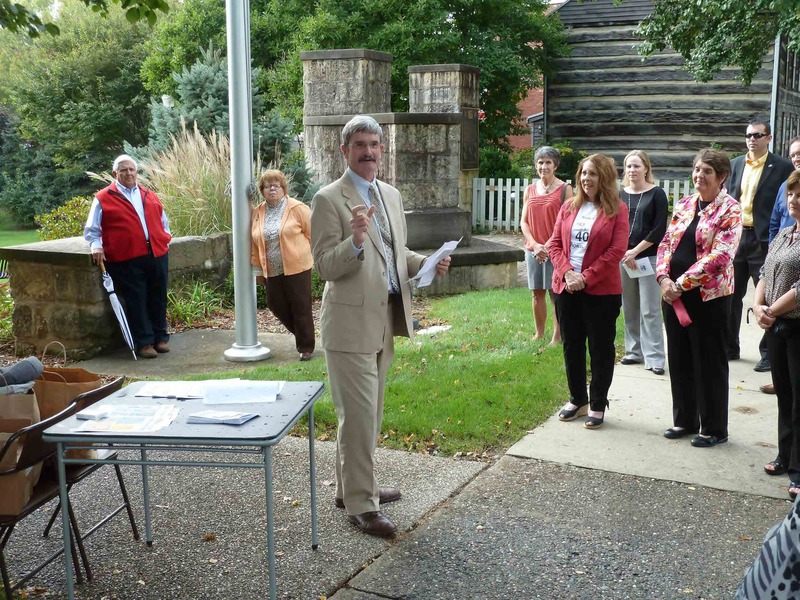 The New Concord sign was dedicated adjacent to the New Concord Village Hall and the John Glenn sign was dedicated in front of the John & Annie Glenn Historic Site/Museum just down the street. 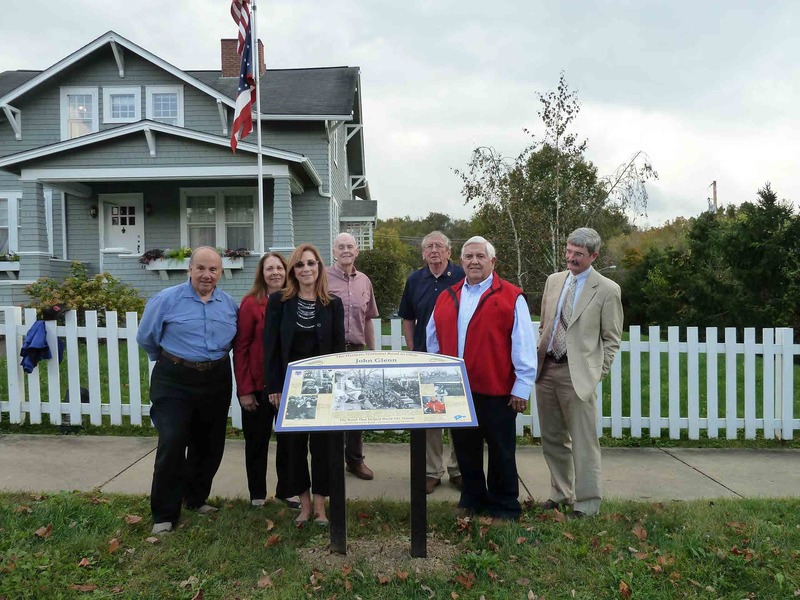 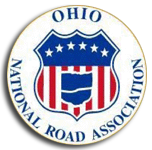 ONRA Members at the event and pictured below included Mary Ellen Weingartner (ONRA President), Elizabeth Reeb (ONRA Vice-President), Mike Peppe (Interpretive Signage Chairman), Doug Smith, Ed Wagstaff, along with Don McKendry and Greg Adams. 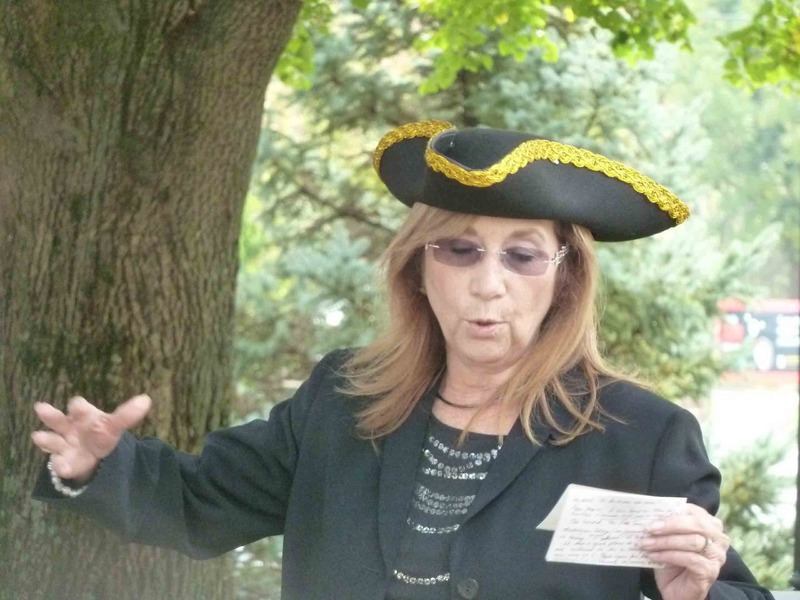 Mary Ellen Weingartner (ONRA President) entertained the crowd with her speech about New Concord and John Glenn. 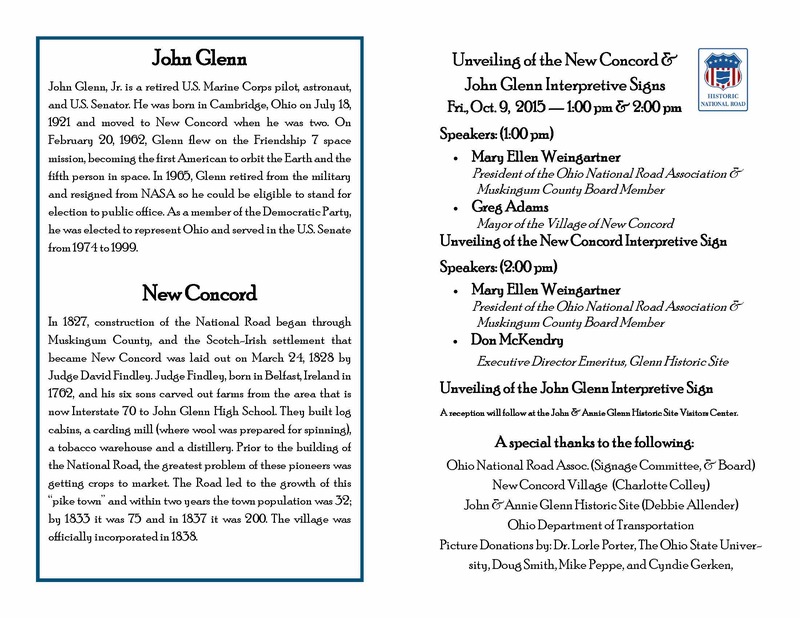 Also speaking at the New Concord sign dedication was New Concord Mayor Greg Adams and for the John Glenn sign Don McKendry, Executive Director Emeritus of the Glenn Historic Site.